Adedana leads VC firm Village Capital's Africa work out of Nairobi. She joined Village Capital after nearly three years at the African Leadership Network (ALN), a community of the continent's young, dynamic, and influential leaders. At ALN, she built and managed the Africa Business Fellowship, a program that matched young American business leaders with leading African corporates and startups for short term work placements in five countries. Prior to that role, she served as Chief of Staff to the ALN CEO and was a communications strategist for the Sino-Africa Centre of Excellence, a think tank and research hub dedicated to China-Africa private sector engagement. Her early research and work has taken her to Ethiopia, China, South Korea, Nicaragua, and now Kenya. 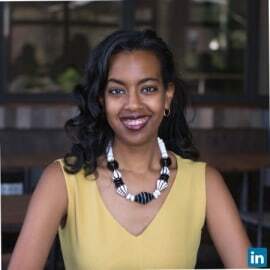 Adedana holds a Master in Environmental Management from the Yale School of Forestry and Environmental Studies, a Certificate of Chinese Language and Culture from Beijing Normal University, and a BA in Environmental Studies from Yale University. She speaks Spanish and Mandarin and survival Amharic and Tigrinya.